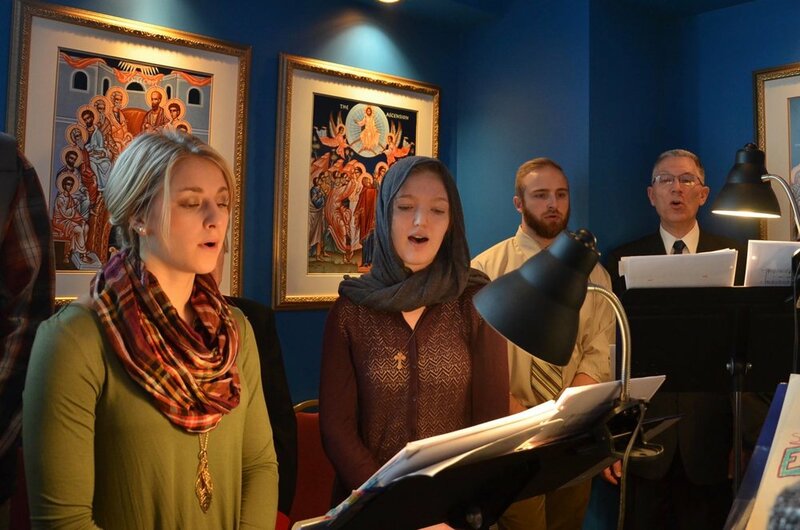 For 2,000 Years, the Orthodox Church has preserved the practice of worship with the human voice alone (a cappella). Orthodox Christianity in North America? The people of St. Nikolai came together in the year 2013 for the purpose of forming an Orthodox Christian community that could worship in the English language, respect the diverse traditions of its individual members, and be a witness of Christian love to the surrounding communities of Alliance and Louisville. While the nearby cities of Akron and Canton, lying to the West, contain many Orthodox communities, the people of St. Nikolai’s observed that there was a large area to the East and South of Alliance that held no Orthodox presence. Under the Omophorion of His Grace, Bishop ALEXANDER of Toledo and the Bulgarian Diocese, the community of St. Nikolai began holding services at Mount Union University in Alliance with the pastoral guidance of Very Rev. Joseph Cervo and Protodeacon James Gresh. The university was very receptive to our presence, but as the size of the community continued to grow a long-term home was sought. Property was offered to the community a mile West of Alliance. The community purchased and dedicated the property in October of 2013 and broke ground for a building in the spring of 2015. The completion of the temple in October of 2015 provided the mission with a small but beautiful worship space. In 2016, Fr. Joseph Cervo relocated to Pittsburgh in order to serve a parish there. Meanwhile, Dn. Mikel Hill was ordained to the Holy Priesthood in January of 2017 and became St. Nikolai's full-time priest and rector in 2017. Under his leadership, the community faced a series of challenges including an arson fire in August, 2017, the damage from which required extensive rehabilitation. The community returned to its beloved temple in the spring of 2018, with renewed dedication. Unfortunately, due to the continued cost of purchasing their temple and the loss of several families, Fr. Mikel Hill was forced to search for other employment, taking a position with St. Tikhon’s Monastery at the end of 2018. Currently, Fr. Don Freude serves as the parish’s administrator with supply priests continuing a limited service schedule starting in January of 2019.